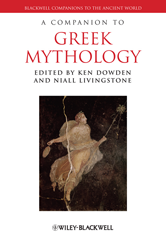 A Companion to Greek Mythology presents a series of essays that explore the phenomenon of Greek myth from its origins in shared Indo-European story patterns and the Greeks ; contacts with their Eastern Mediterranean neighbours through its development as a shared language and thought-system for the Greco-Roman world. Features essays from a prestigious international team of literary experts. Includes coverage of Greek myth's intersection with history, philosophy and religion. Introduces readers to topics in mythology that are often inaccessible to non-specialists. Addresses the Hellenistic and Roman periods as well as Archaic and Classical Greece.